Welcome to CanyonKatz Cattery! 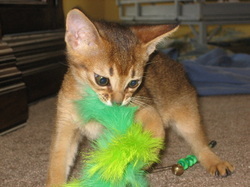 We are a small Abyssinian breeding home which specializes in well socialized, happy, loving kittens and cats. Our kittens are raised in our home, not in cages, they are part of our family and our everyday lives. We do our best to make sure that the kittens we provide are an excellent representation of the breed, free from health problems, and most importantly outgoing and lovable. We provide health guarantees for each kitten, provide their first two vaccinations, they are spayed or neutered prior to placement, have CFA registration papers and a handy kitten starter kit. Kittens are PRA/PK, FELV/FIV negative. 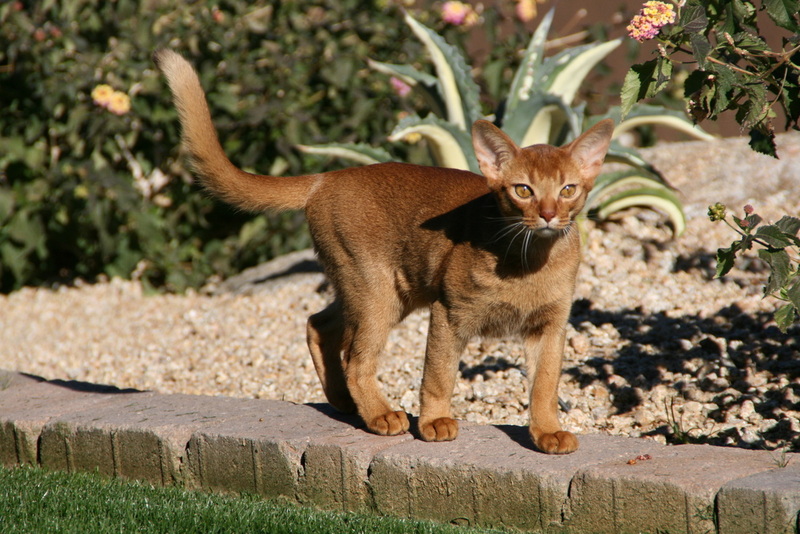 We take pride in finding you the next love of your life in an Abyssinian cat. We are located in Palm Coast Florida and will be showing and and breeding on the east coast. If you need more information or have a particular question after visiting our pages please fill out our contact sheet. Our cats and kittens are part of the family. This allows them exposure to sights, sounds, other people and basic household obstacles and threats. By the time they are placed in their forever homes they are well adapted and ready to enjoy their new family! Although we do not suggest letting cats outdoors, this is a very well controlled outdoor area with supervision. 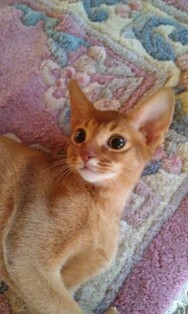 This is Kris, a red male, son of our queen Kiya. Playtime is very important to all cats and kittens. Our babies get plenty of exercise and socialization. They have full run of the house once they are litter trained. And yes, they do run the house!